After a lovely day with Puffing Billy, it was time to face facts that we would leave in the morning. I would fly to Cairns. Heidi and Danielle were hashing out how to get each of them back to different places with one car in one day. They could retrace the route we took to get here, with Heidi dropping Danielle off in Blayney. But Heidi wanted to stop in Canberra to see her friend Moira. Danielle was up for that but it would add another day. And so on. 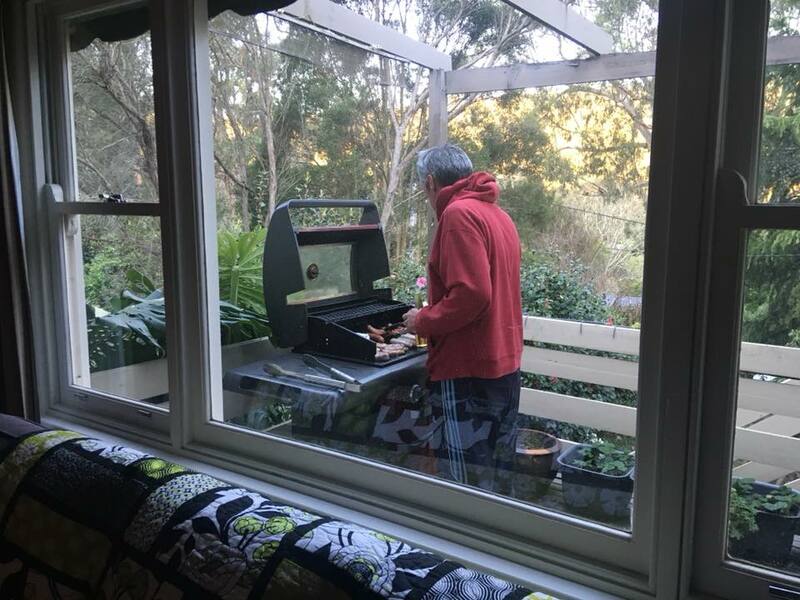 People everywhere do this, but I think for Australians the stakes are higher and they spend more time thinking and talking about getting around. But first, a farewell feast. Dean would barbeque and we would contribute three salads. I made tabbouleh, my go-to salad. “Starring Paul Hogan—Crocodile Dundee,” inserted Danielle. “Yeah,” Lisa responded, and we read them out loud. We had to Google a couple, like “Impersonating an Egyptian” (a Gypsy, or Roma, who were considered rogues) and “Embeuling Naval Stores” (stealing). “Murder isn’t on here,” I commented. 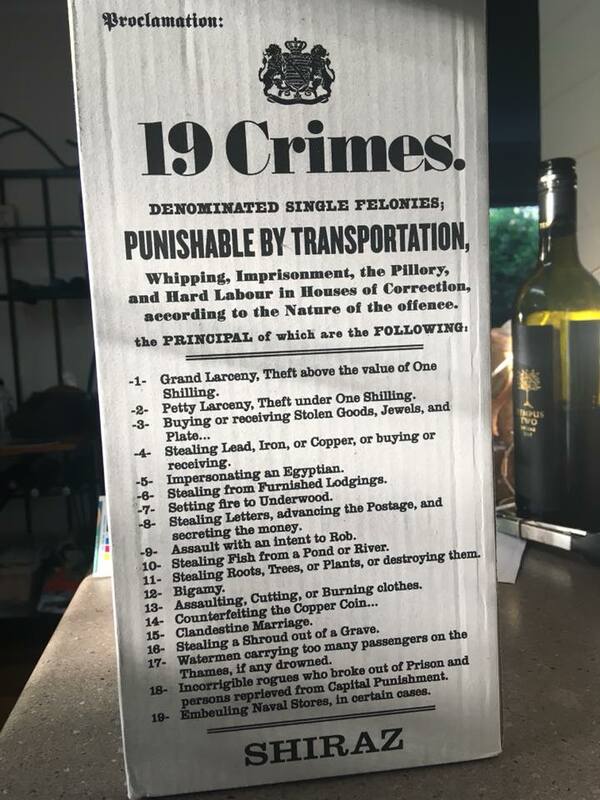 Back in December at my cookie baking party, I provided a few bottles of 19 Crimes and visitors had fun with their very clever app which brought the convicts to life. 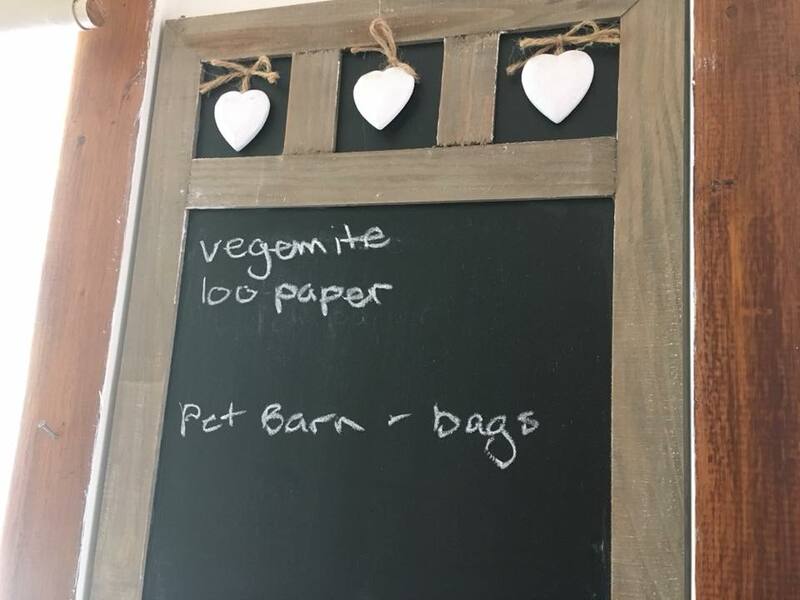 I couldn’t help snapping a photo of Lisa and Dean’s shopping list the next morning. Heidi was up before me, undoubtedly anxious about the long day of driving ahead. 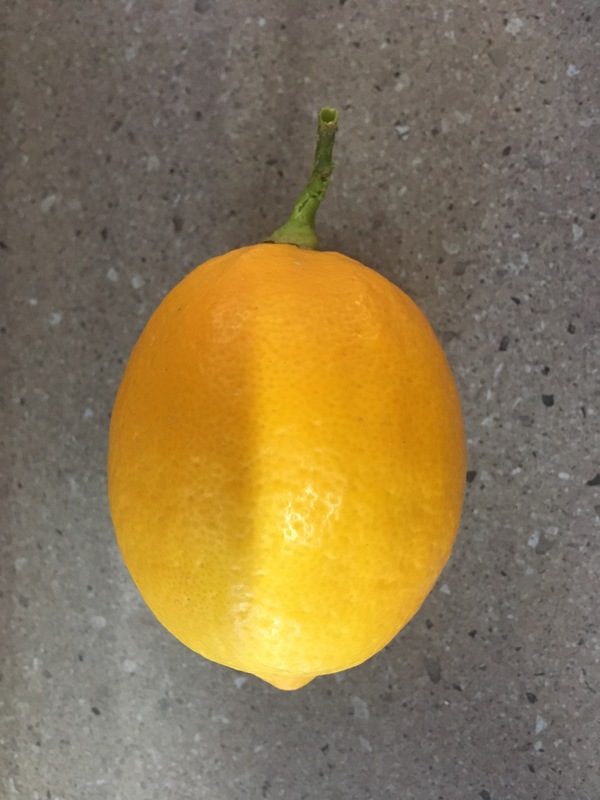 Dean had harvested some gorgeous lemons and gave her and Dani a supply. It was frosty, and as we huddled in a circle drinking our coffee we laughed when we looked down at our feet. 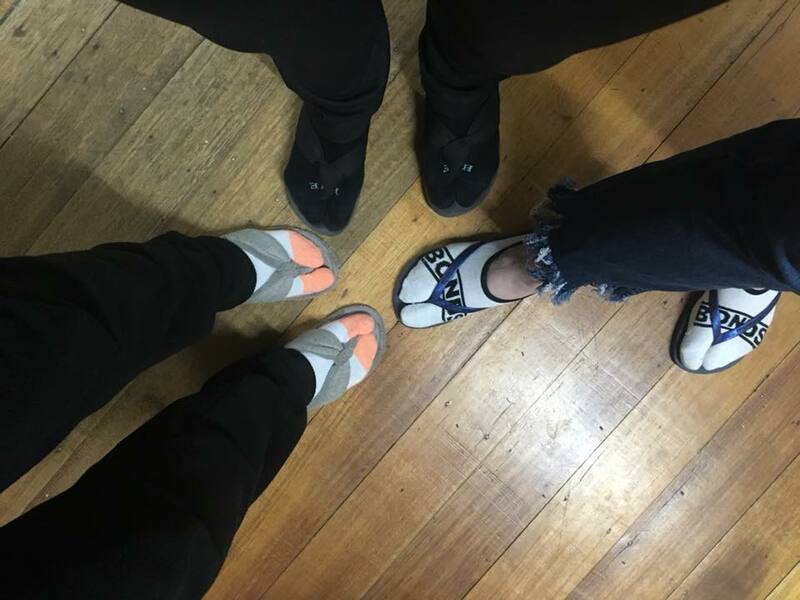 “Not thongs and camel toes,” I quipped. That killed the conversation. Sometimes I go too far with my language observations. “Can I see the cab before I leave?” I asked Dean. 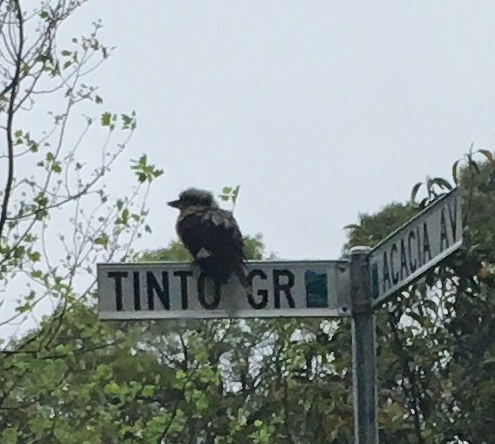 I wandered around outside, enjoying the fresh air and this quiet Kookaburra on the sign post. 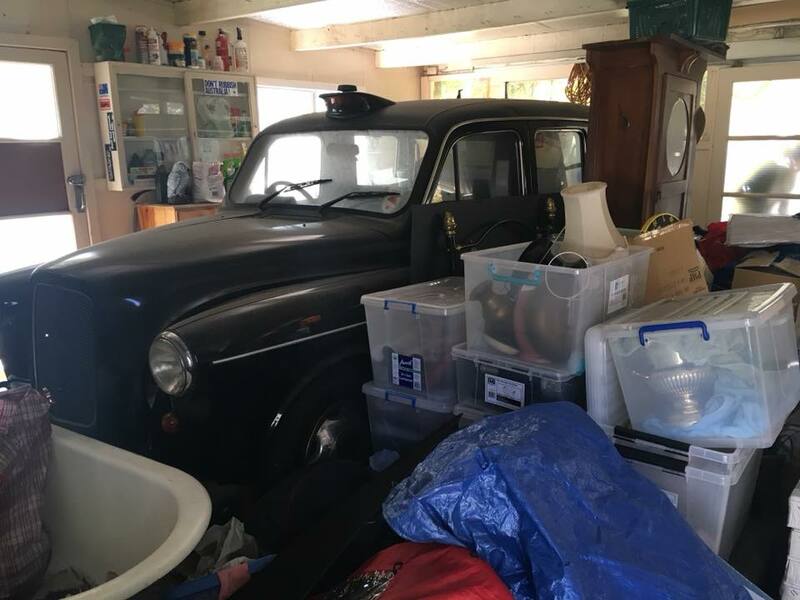 Dean called me over to the garage, where he’d lifted the door to reveal the souvenir he and Lisa had brought back from London. Heidi and Danielle and I said our adieus; I would see Heidi again in Sydney. Then Dean and Lisa drove me to the airport, a 45-minute drive on this early Saturday morning. I always enjoy dropping people off and picking them up at the airport. It reduces their stress and it’s nice to say good-bye and hello to friendly faces, isn’t it? This entry was posted in Adventure, Budget travel, class divide, crime, Culture shock, Living abroad, Poverty, prison, Travel and tagged Australian Convict Ships, Australian Transportation, Melbourne on January 21, 2019 by Breaking Free.